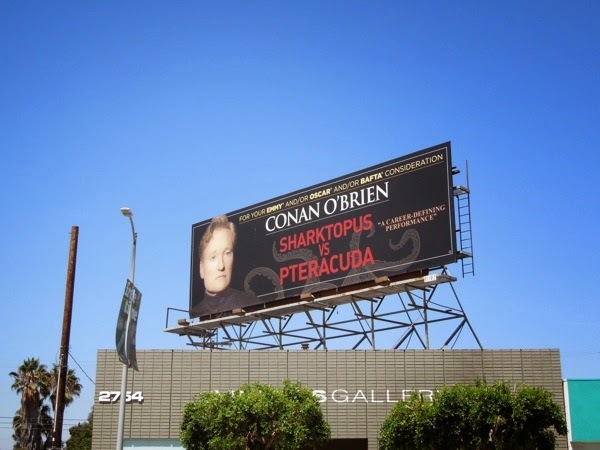 Following the sheer deluge of Emmy Consideration billboards that filled the city skyline over the past few months, it's nice to see that all around funny guy and talk show host Conan O'Brien is able to poke fun at himself and the entertainment industry once in a while. 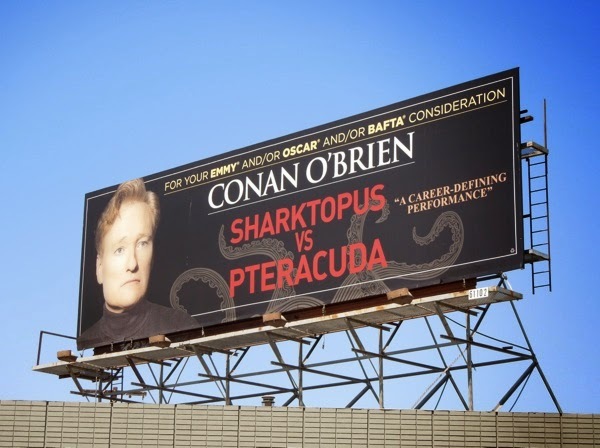 By the way in case you're wondering, Sharktopus vs. Pteracuda is a real Syfy channel original horror film, and Conan actually does star in the movie as a fictional, exaggerated version of himself (before being gorily killed off). 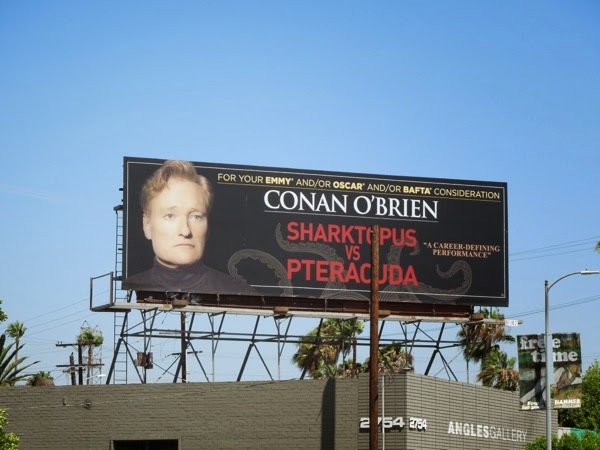 This mock award consideration billboard, with the host looking very much the serious actor, was snapped along La Cienega Boulevard on July 17, 2014, and if you're a fan of the comedian, be sure to also check out these other Conan O'Brien billboards. Plus make sure you take a look at this year's Emmy Consideration billboards, including HBO's Emmy 2014 campaign and these vintage style ads for Mad Men's Emmy billboard campaign. 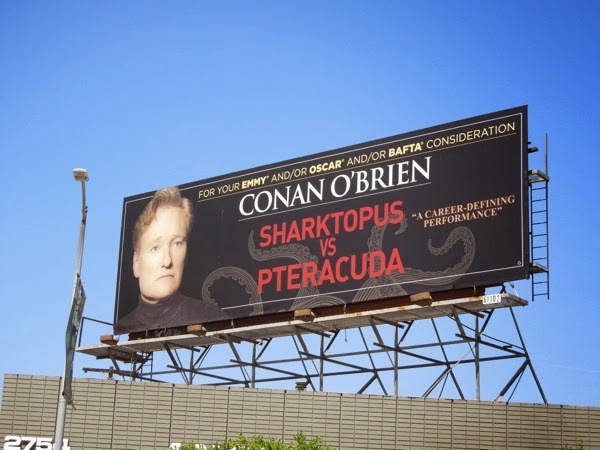 Of course, there's always the very slim chance that Conan could win (oh look a flying pig, being eaten by a sharktopus). Maybe not an Emmy, Oscar, Golden Globe or BAFTA, but maybe there's hope for a Razzie?